Cool story and pics. Isn’t funny how, in our rebellious youth, some of us are determined to be nothing like our parents. Yet, as we age, we find ourselves channeling them. See, we were paying attention. There are many possible explanations for this and I believe most of ’em. The world is much more complex that we simple apes understand it to be. We need to open our doors of perception. Before we die, we should all do psychedelics at least once (in a safe, controlled setting); it can offer a glimpse of reality beyond our normal view. As is often the case, your posts have me exploring further with Google Maps, Wikipedia and more. 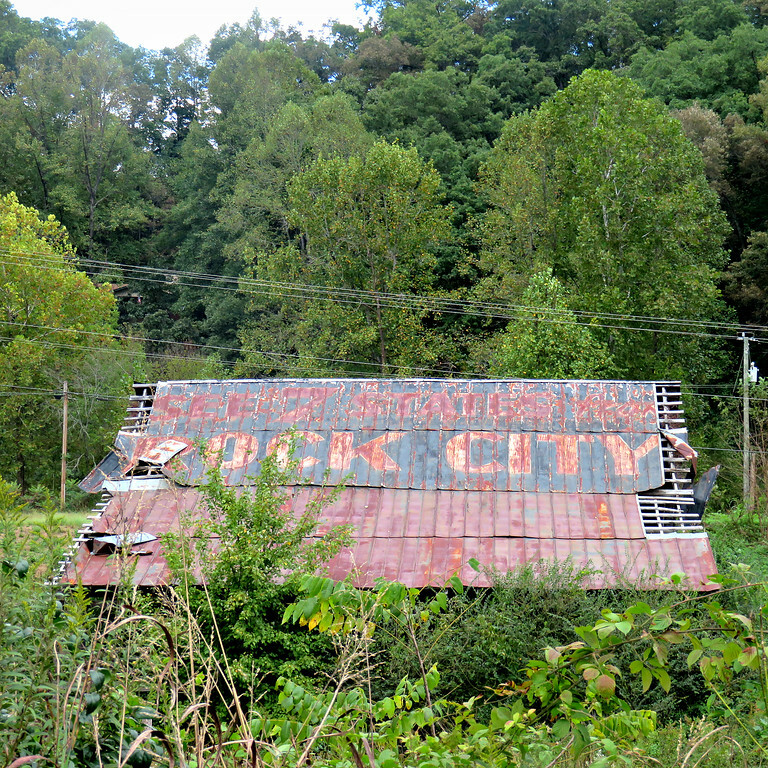 I had never heard of Rock City Barns until today. And now I want to go to Georgia. The magic of the internet. I miss you. Just sayin’. I hope you’re doing well. 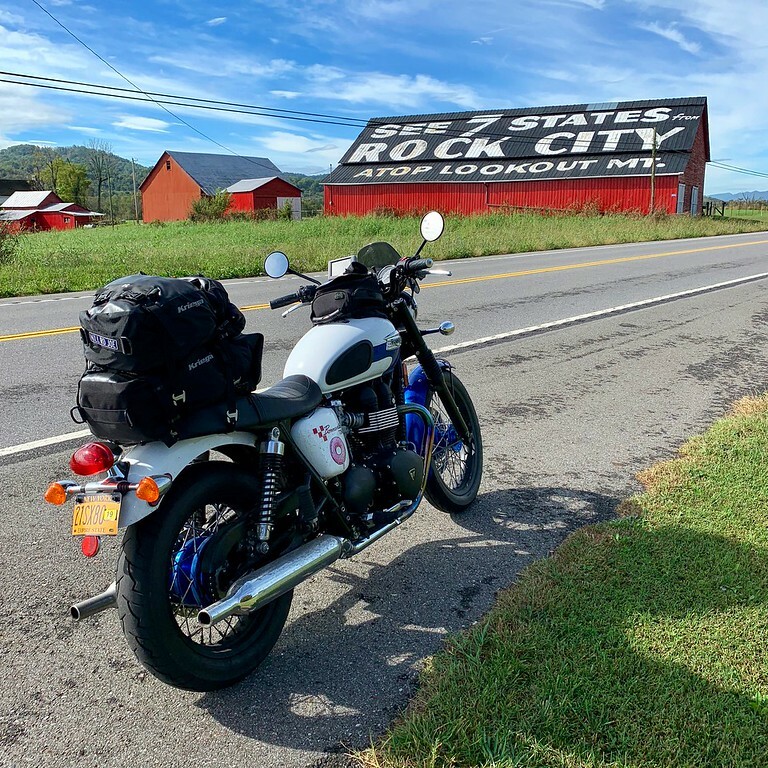 Last summer while visiting the Dragon, I took a picture of my bike next to an old gas station called Pink J. Plemmons Groceries and Feeds near Luck, NC. It is one of my favorite pics from that trip. 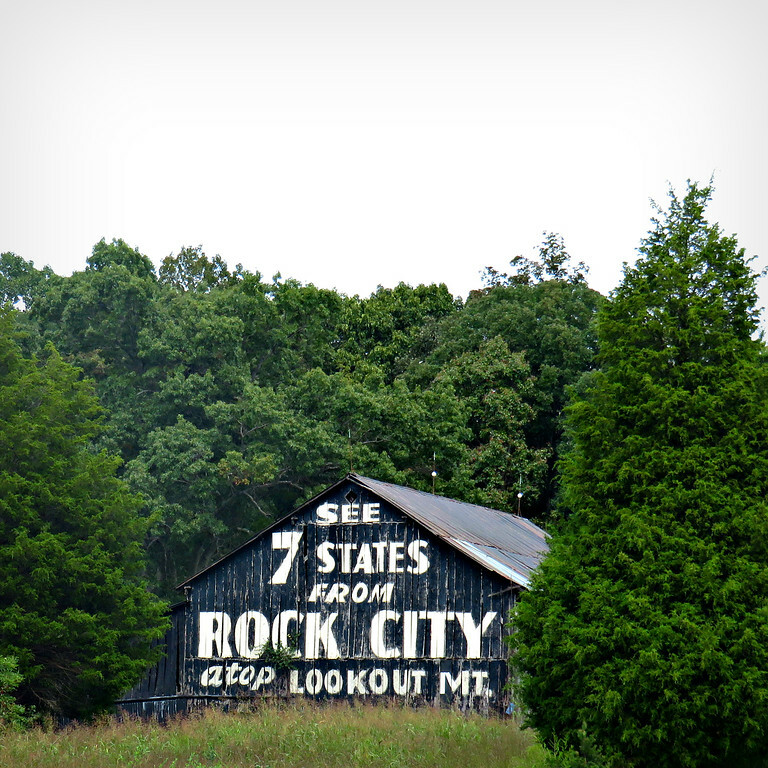 The advent of warmer weather has me checking here more often for more revelations of riding and roadside art. Hope you and your family are enjoying spring and you find yourself on the road once again. Nice to see your riding again,hope your wife has recovered from her ordeal my partners sister had the same malady so we know what it entails.I too have been out riding my m/cycle and Vespa not regularly as its still too cold ,but the Vesps starter motor has died so my next job is that,am still following your tales so keep em coming.